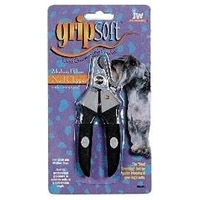 Small, compact palm-sized trimmer for face, ears, and paws. Quiet, battery-powered (AAA) unit. 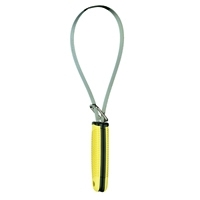 Fits in the palm of your hand and easily hidden – great for trimming skittish animals. 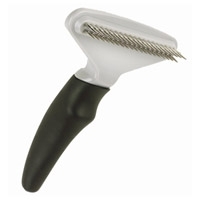 Includes 2 comb attachments, plus lubricating oil, cleaning brush and 1 AAA battery. 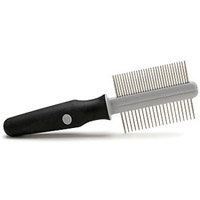 Achieving a professionally groomed look is easy when you have the right tools. 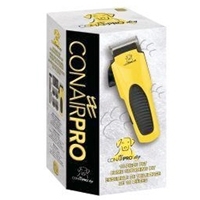 Featuring our Memory Grip handles, ConairPRO Dog™ Grooming Tools provide a non-slip soft grip that conforms to the shape of your hand, giving you better control and less hand fatigue. 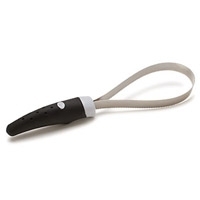 Slickers are used to remove tangles and mats from the dog's coat. 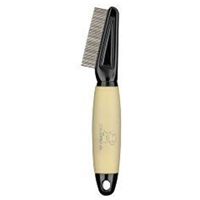 Conair Rake Medium 3/4 "
Achieving a professionally groomed look is easy when you have the right tools. 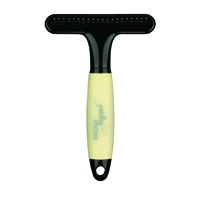 Featuring our Memory Grip handles, ConairPRO Dog™ Grooming Tools provide a non-slip soft grip that conforms to the shape of your hand, giving you better control and less hand fatigue. 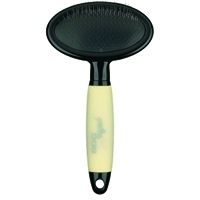 Undercoat rakes remove loose, excess hair from undercoat. 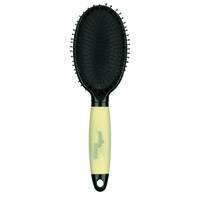 Achieving a professionally groomed look is easy when you have the right tools. Featuring our Memory Grip handles, ConairPRO Dog™ Grooming Tools provide a non-slip soft grip that conforms to the shape of your hand, giving you better control and less hand fatigue. 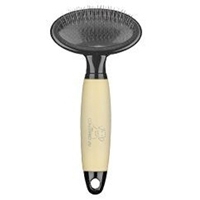 Pin brushes are ideal for daily brushing and detangling. For gentle washing and deep cleansing of all breeds. Dual settings: full body spray or cone-shape curtain spray. Massaging soft rubber fingers for shampooing and deep cleansing. 8-foot reinforced hose. 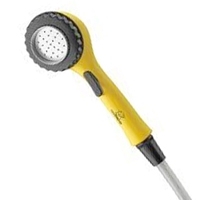 2 connectors for use in shower or tub, or quick connect to outside hose. Two spray settings for indoor and outdoor use. 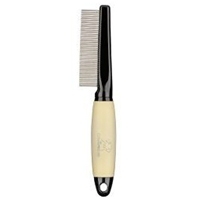 Achieving a professionally groomed look is easy when you have the right tools. 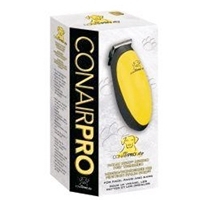 Featuring our Memory Grip handles, ConairPRO Dog™ Grooming Tools provide a non-slip soft grip that conforms to the shape of your hand, giving you better control and less hand fatigue. 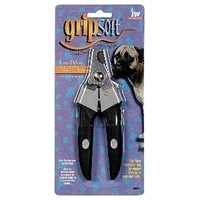 Cut your pet's nails in safety and comfort. 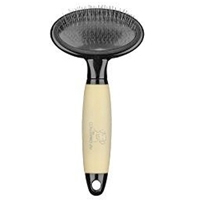 This brush can be used as a grooming brush or a shampooing brush! 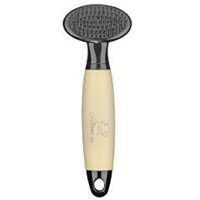 It removes loose hair, and stimulates capillaries and oil production for healthy skin and coats. 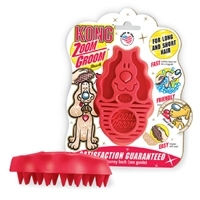 The zoomgroom is good for all dogs and coat types.